The Next Big Thing | Twende pamoja! The motorbike. Second only to the matatu as deadliest threat to your life in Kenya as far as I can tell. Call it what you want – Boda Boda or Piki Piki – these clapped out machines are everywhere. They carry everything from the whole family, to livestock, to household furniture (No item too large! We carry sofas, double beds, you name it!) You can be happily walking along on the pavement only find yourself being forced to jump into the road (the very road they should be on!) to avoid a bike about to run you over at high speed. At first it’s amusing. And no doubt about it, they are seriously good fun to ride. But the danger involved is no joke. In the UK, 1,713 people lost their lives in road traffic accidents last year. Compare that to Kenya where the World Health Organisation estimates that around 8,500 people died (significantly higher than official records of 3,000…). Bear in mind also that Kenya is considerably less motorised than the UK – Africa has just 2% of the world’s vehicles – and the difference in death toll is even more striking. While I’ve been here the government has introduced many new initiatives to try tackle the challenge (and perhaps raise a little extra money in taxes and fines). First came the ban on buses travelling at night (unless the company bought a special permit). Then there was the compulsory fitting of “speed governors” in matatus which records speed and beeps to warn the driver if they are going over the limit. The result? Well, lots of protests from the transport industry and several hairy walks to work amid stone-throwing bus drivers angry at colleagues breaking the strike. As for safety and accidents? Who knows. But there is a bright light (ha!) on the horizon! 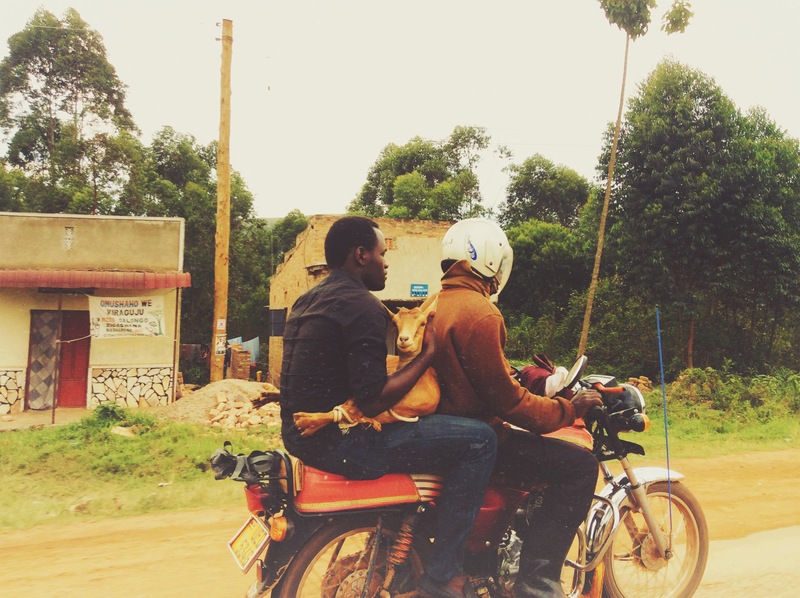 Cladlight are a new tech start-up in Nairobi trying to reduce motorcycle accidents. Their motorcycle jackets are fitted with in-built LEDs lighting systems that are connected to the bikes indicator system. So when the driver makes a sudden sharp left, forgetting to indicate, the driver behind gets a bright (very bright!) warning from the illuminated arrows on the back of the jacket. Increased visibility. Hopefully decreased depressing statistics. This business mean something to me because I met one of their lovely founders, Michael, a few months back and somehow co-opted him into a slightly less socially-beneficial use of their technology for my own enjoyment, which I’ve written about in the past (https://twendevso.wordpress.com/2014/05/25/the-other-end-of-the-spectrum/ and https://twendevso.wordpress.com/2014/06/21/the-path-to-glory/). Today, I wanted to write more about the serious work they do to help celebrate some rather awesome news. Cladlight are at a critical point in the development of their product. Now with a working prototype they need to look at taking the innovation to scale and get it to an affordable price so that drivers can actually buy the jackets. For many, many months the team have been doing the rounds pitching to potential investors. And today they heard that they have secured 1,000,000 (ONE MILLION) Kenya Shillings to help them do this whoopppeeeee! A HUGE congratulations to The Next Big Thing (http://www.businessdailyafrica.com/The-Next-Big-Thing-finalists-get-Sh1m-funding-for-smart-jackets/-/1248928/2437560/-/4rsqdtz/-/index.html). I can’t wait to see your jackets on the road!